Implementation of peyak aski kikawinaw: Together We Are Stronger takes a variety of forms. A number of institutional-level plans have been, or will be, created to describe how the strategic plan will be pursued in major aspects of the University work such as research or buildings and grounds (e.g., Campus Master Plan). As well, individual academic, administrative and research units are renewing their unit plans or creating new ones to describe how they will contribute to the realization of the Strategic Plan. The University will measure its progress in achieving the strategic plan through the institutional Performance Measurement Framework (PMF) which is described below. 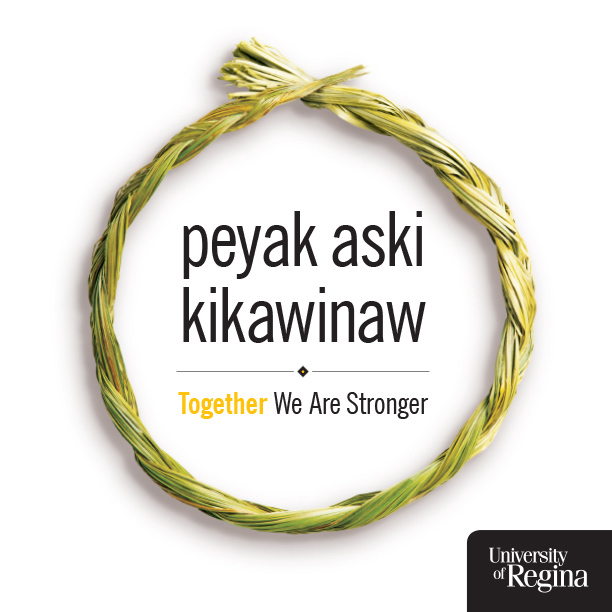 The approval of a new strategic plan required the University of Regina to develop a new performance measurement framework (PMF) which will be used to measure its progress in accomplishing the objectives laid out in peyak aski kikawinaw: Together We Are Stronger. The three strategic priorities identified in the plan form the cornerstones of the framework. The two overarching themes of the plan – Indigenization and sustainability – thread throughout the framework as these will inform the priorities and activities undertaken to achieve the ambitious targets that have been set. Annually, the Board of Governors will review the Performance Measurement Framework, confirming that the measures continue to be appropriate, and also setting new targets for the following fiscal year. Specific performance measures for each strategic priority, along with definitions and targets for the coming year will be published in the University's annual report. In addition, the University's progress in achieving these targets will be published in subsequent annual reports. The University has developed a number of performance measures for each strategic priority. For most measures, clear targets for 2015-16 have been identified. In some cases, however, the target for 2015-16 is to define the measure, develop a data collection approach, and set the measurable target for 2016-17. This is the case for those measures in which the University has no prior measurement mechanisms (e.g., community outreach measures specific to partnerships, public engagement, and student engagement). Read Performance Measurement Framework and specific performance measures, definitions and targets for 2015-16 (p. 7-10) in the 2014-15 University of Regina Annual Report.